Euro is being corrected between the levels of 61.8% and 78.6%. We can’t exclude a possibility that after a local correction, the pair may break the maximum and reach the level of 78.6%. If later the pair rebounds from this level, the price will start a new, deeper correction. 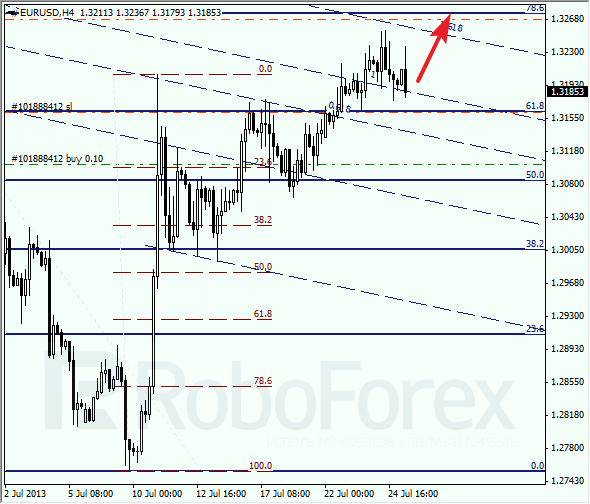 At the H1 chart we can see, that the price is moving inside a narrow trading range. The stop on my buy order is already in the black. According to the analysis of the temporary fibo-zones, the targets may be reached until the end of this week. Franc is still being corrected. The target is still at the level of 78.6%, where there are several more fibo-levels. I’ll move the stop into the black as soon as the market starts moving downwards. 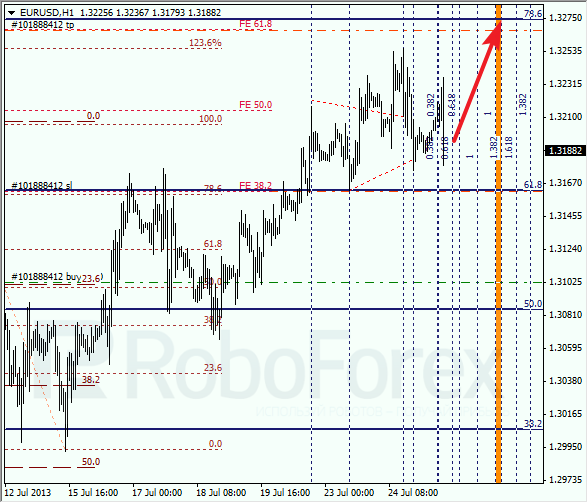 At the H1 chart, the pair is consolidating. According to the analysis of the temporary fibo-zones, the level of 78.6% may be reached by Friday evening. Later this level may become a starting point of a new correction.